Revive Adserver v4.0.0 is available now. After releasing a successful release candidate a little over 2 weeks ago, we’re proud to publish the new Revive Adserver v4.0.0. This version of the world’s most popular, free, open source ad serving system contains several enhancements and improvements (described in detail below) and some bug fixes. There are also 3 security fixes, which were not contained in the earlier release candidate. This version 4.0.0 also contains fixes for three vulnerabities that were recently discovered and reported to us through our HackerOne security program. Full release notes for v4.0.0 can be found on our Github page. 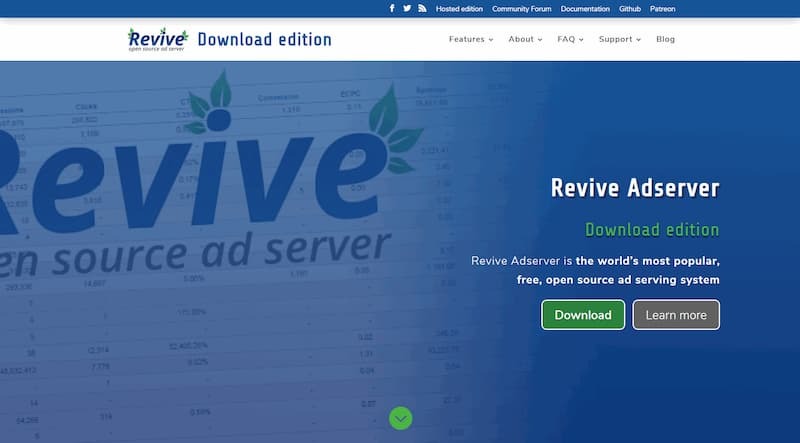 Revive Adserver v4.0 is available for download now. For users who are not yet ready to upgrade to v4.0.0, but still want to implement the security fixes contained in it, we have also created a v3.2.5 release, containing only the three security patches. Full release notes for v3.2.5 can be found on our Github page.